Exposure Classic 35 review | What Hi-Fi? 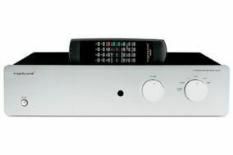 One look at the Exposure Classic 35 (or ‘Classic XXXV' as the company prefers to enumerate it) with a black finish and you'd be pushed to differentiate it from the amplifiers the company built a couple of decades ago. No bad thing, really. As are Exposure's ways, the 35's power supply is generously specified and component-quality is high. The designers have taken a great deal of care when it comes to circuit layout in a bid to get good sound quality – and it has worked. Before we heap on the praise, though, you should know there are more detailed and transparent amps around – Primare's £1500 I30 and Myryad's £1000 MXI2150 deliver more insight. Also, build quality lacks the luxurious touches expected at this price level. None of this stops you enjoying this amp. This musical amplifier is as happy pounding out Dr Dre's heavy beats as it is finessing Arvo Part's Tabula Rasa. All the basics are right: strong dynamics, with very little sign of compression even at high volumes, plus timing as crisp as a fresh iceberg lettuce. Tonal balance is full and smooth, making it easy to enjoy even aggressive recordings. It's a supremely musical amp, but stereo-imaging fans should look elsewhere, though, as the 35 doesn't develop a massively expansive soundstage. Most of us will be too busy enjoying the music, though. If you're into analysing your recordings there are better, similar-priced, choices. However, if you want a good, musical amp, add this Classic 35 to your shortlist.